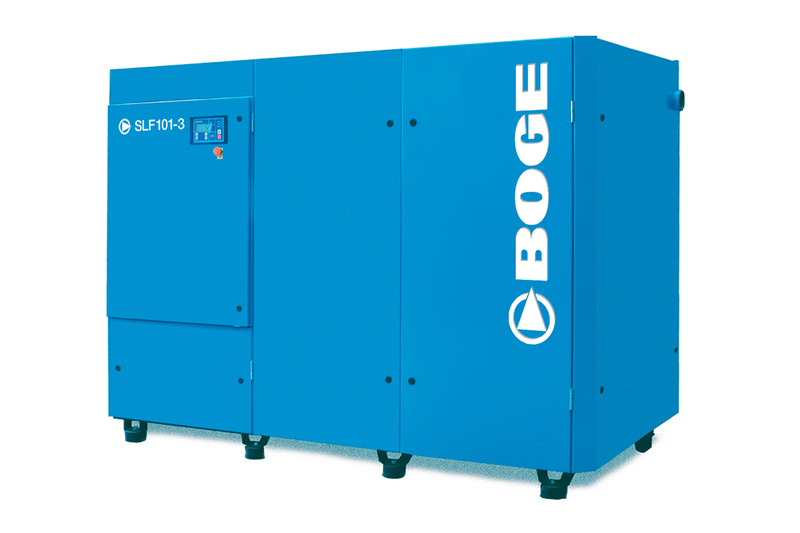 The frequency controlled BOGE SLF series compressor offers a very flexible system which can easily adapt to any changes in volume or pressure demands. In the event of a change of the pressure value, the output quantity is automatically synchronized. A 13 bar machine thus regulated into an 8 bar machine would yield a correspondingly higher output – without any expensive reconstruction or design related modifications. The integrated heat exchanger also provides increased efficiency – giving an extra bonus in efficiency! The frequency converter is primarily integrated to control motor and airend speeds in order to produce the momentary air demand requirement at the required pressure. As an option, the cooling fan can be frequency controlled ensuring it only ever works as hard as necessary. Frequency control is ideal where shift/production patterns create a fluctuating demand for compressed air or where there is a small storage volume or in a multiple installation for peak load operation. Built-in frequency control continuously adjusts the volume flow to the actual demand ensuring minimized idling times and pressure fluctuations providing an energy efficient solution. The centrepiece of the integrated DUOTHERM BPT heat exchanger is a plate heat exchanger through which passes hot oil around +85°C from the oil circuit. The counter-flow water passing through the heat exchanger is heated up to around +70°C, and can then be used as heating or production water. The convenient and user-friendly FOCUS control with its numerous control and monitoring features comes as a standard on this compressor. 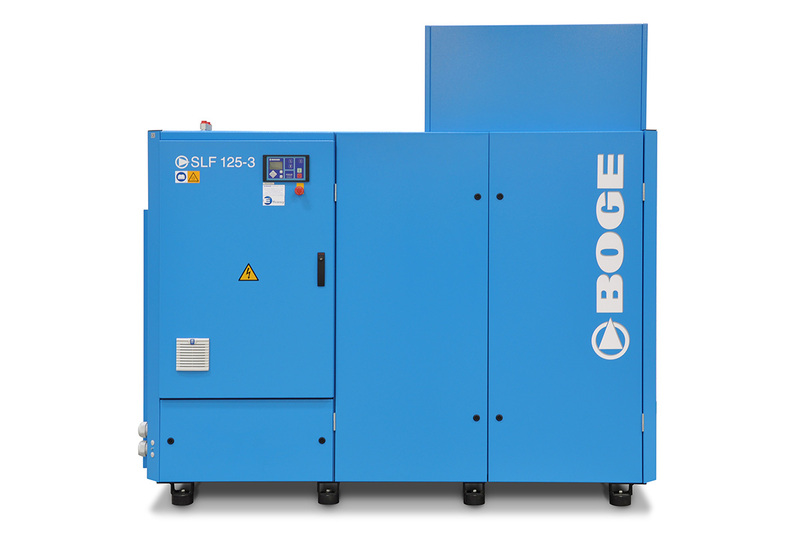 Only the use of BOGE original parts will enable you to benefit from the technological edge of the SLF-series in the long run. 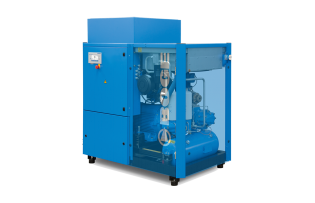 To this purpose, CRU AIR + GAS offers individually customized replacement parts for the SLF-series guaranteeing 100 percent quality and 100 percent service life. Only such original parts are compatible with the compressors of the SLF-series for maximum safety during the entire service life period. 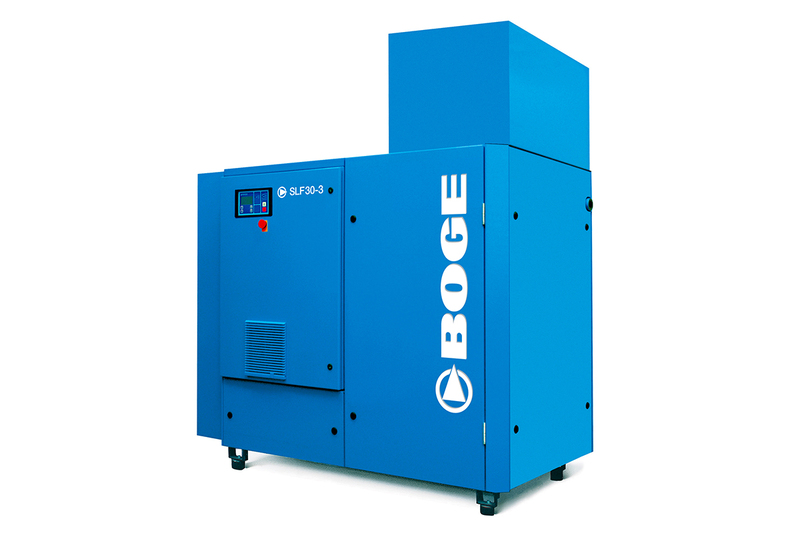 BOGE standard warranty is 1 year on the complete unit and 2 years on major components. CRU AIR + GAS customers can enjoy a free upgrade to a five year warranty on the airend, main motor, controller, VSD, oil sump, cooler and MPV housing. There is no requirement to buy an annual service kit to qualify for this free extended warranty. 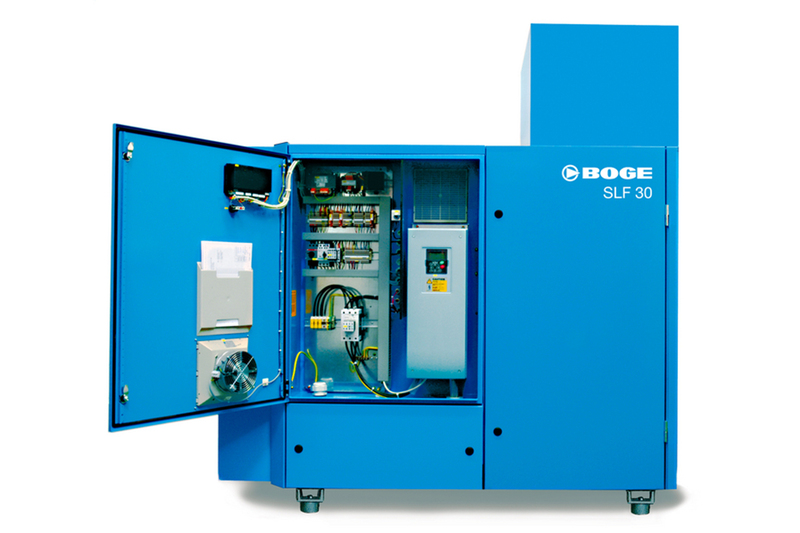 Simply buy genuine BOGE parts and allow CRU AIR + GAS authorized technicians to service your compressor according to BOGE's guidelines.